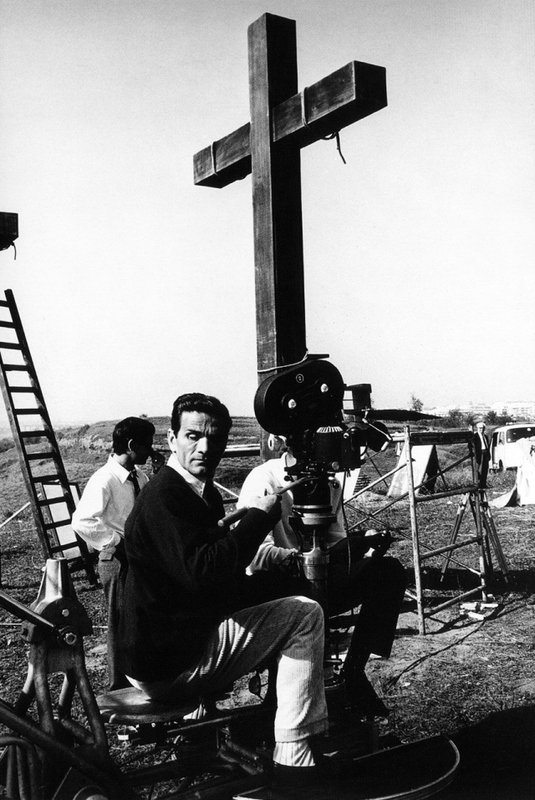 The year 2015 marks the fortieth death anniversary of the writer and director Pier Paolo Pasolini. To commemorate this great cultural Italian personality, the Italian Embassy Cultural Centre New Delhi and the Center for Research and Archiving of Photography Spilimbergo, present a series of photographs, which were taken during the production of his films, with actors such as Orson Welles, Silvana Mangano, Toto, Ninetto Davoli and Franco Citti. They were made by his most important and faithful photographers, such as Angelo Novi (1930-1997), Mimmo Cattarinich (1937), Deborah Beer (1950-1994) and Mario Tursi (1929-2008). Pier Paolo Pasolini (Bologna, 1922 -- Rome, November 2, 1975) was an Italian poet, writer, director, screenwriter, playwright and columnist. He is considered one of the greatest Italian artists and intellectuals of the twentieth century. Endowed with an exceptional cultural versatility, outstanding in many areas, he contributed majorly as a filmmaker, painter, novelist, linguist, translator and essayist, not only in Italian but also in Friulian. Keen observer of the society’s transformation post the IInd World War until the mid-seventies, he often attracted controversies and heated debates to the radicalism of his judgments, which were very critical towards the bourgeois habits and the rising Italian consumer society, as also the ‘Sessantotto” and its protagonists. His homosexuality was the center of his public persona. WALTER LIVA, Curator, Center for Research and Archiving of Photography – CRAF, Spilimbergo, Pordenone will be present for the opening.